Well friends, it’s been three months since I shared our last adoption update. Three really incredibly busy, non-stop months with illness, Christmas, birthdays, more illness, ministry, vacation, and a crazy every day life. Finally, I am happy to share that we have officially submitted our adoption application for Domestic Infant Adoption. And now the wait begins. A really LONG wait. You see, normally, once an application is submitted, an agency will review it and then begin the home study process. Within a few months our profile would be ready for expectant mothers to view. Sadly, this is not the case for us right now. We finally found an agency that would take an application. With one hitch. They were in the same boat as other agencies. However, by completing a full application, we would be put in a pool that they would draw from when spots opened up. Unfortunately, they said it would be 6 to 18 months before we might officially be accepted. That’s a great question! Thanks for asking:-) There are actually several things we will be doing. We’re praying for guidance and direction as we seek to grow our family. 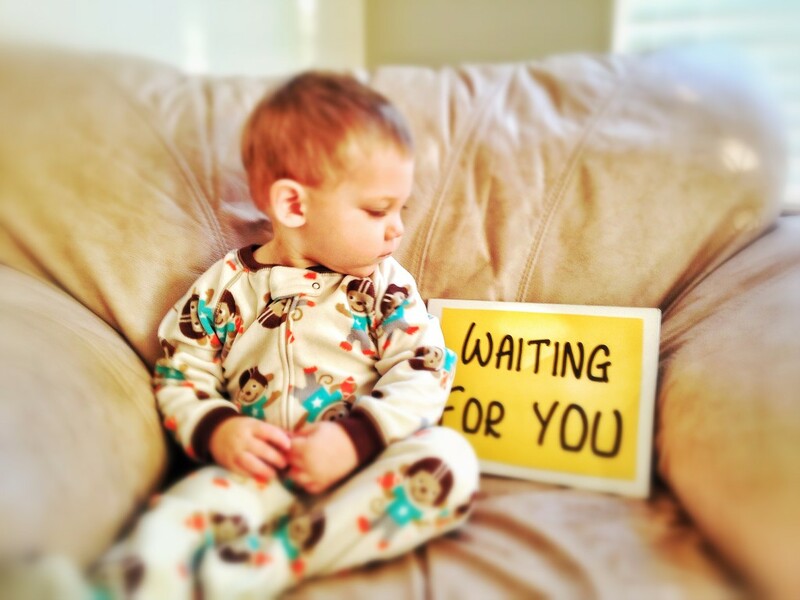 In December I shared “Praying for our Waiting Adoptive Family”. These are ways that we are praying and ask you to join us. I cannot begin to tell you how encouraging it is to know that people are praying for our family. 2. Work on our Profile. To the best of my ability, I am going to update our current profile so that it’s ready to print and give to the agency when the time comes. Adoptions are expensive. Honestly, our first one wasn’t all that bad. However, agency fees have gone up, and the agency we currently applied with are more expensive than the one we had with our first son. So I am going to look for ways to earn money (and save money from our budget) to help fund our next adoption. We are really in the discovery stage of this one. When we met with our agency, they said that a lot of the families are connecting with birthmothers outside of the agency. Right now I’m really not sure what we are going to do to maybe help us connect with an expectant mother without an agency, but I’ll be sharing ways once we figure this all out. P.S. Please keep us in mind when you hear of someone expecting that may be considering adoption! This is one we are really praying over for guidance and direction. The first opportunity is foster care. So many children need a stable, loving home. By opening our home to foster care, we have a unique opportunity to share the love of Jesus to children who may not hear it otherwise. The agency we are looking at has an orientation information meeting once a month. Each month we have had something big going on that couldn’t be changed and have been unable to make the meeting. After five months of this not working out, I don’t know if we should look into a different agency, or if this is not the direction God wants us to go right now. The second opportunity is through a Kidsave program. We first heard of Kidsave when we went to the information meeting for our adoption agency in November. It peaked our curiosity immediately. Through Kidsave, we would host at least one child (and possibly a sibling group) from Columbia for four weeks in the Summer. During these four weeks we would be an advocate for the child we host, providing a loving environment for them, sharing our culture with them, and obtaining medical care if needed. The ultimate goal of Kidsave is that we would choose to adopt our host child or connect with someone else who would be willing. The Kidsave opportunity would be a huge undertaking and commitment with our time, as well as with our money, especially if we choose to adopt. In addition, by going this route, the child we would adopt would most likely be between the ages of 10 and 13. Since we still want to pursue domestic infant adoption, I’m really not sure how this will all work. We are praying that God would make clear His will for us. 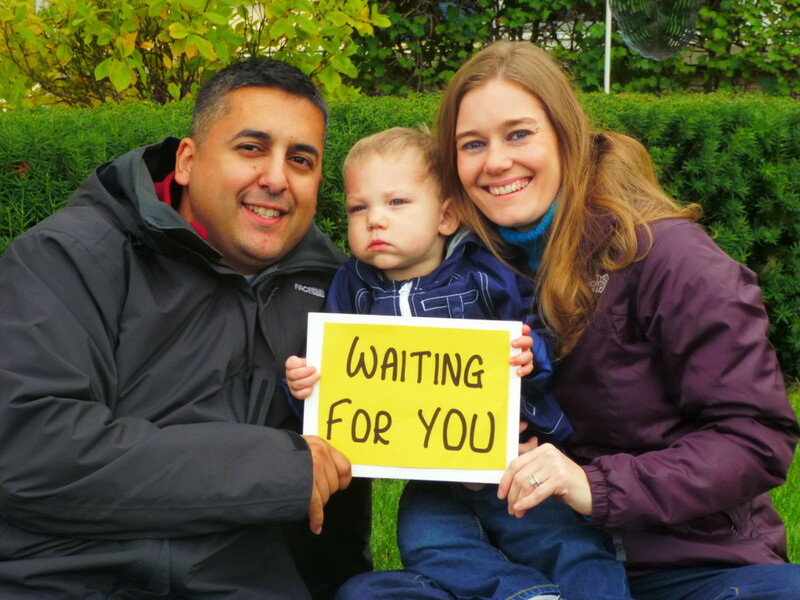 This entry was posted in Adoption, Family and tagged Adoption, adoption application, domestic infant adoption, kidsave, waiting for you. Bookmark the permalink. There is so much to adoption that people don’t realize. I had no idea that it cost so much money or that there was such an extensive wait time. I’m horrible at the waiting part…and I can’t imagine going in knowing the extra added time on the wait. It sounds like you have a great plan in place to help get through the time! Best wishes to you and yours. Good luck! I hope your wait ends up being shorter than you imagine. We hope our wait time is shorter too:-) Thank you!! I hope you don’t have to wait too long! I hope that you are not waiting too long to give a wonderful child a new beginning with a loving family. Bless you for having the love and patience to wait. I found you at the Tell Me About it Tuesday party. Excruciating is a good word! People really don’t understand unless they have gone through it. Blessings to your family!! We haven’t personally been through adoption, but I have family and friends who have. It is dear to my heart. You and your family are in my prayers! !